Lifts West has two separate buildings on its property, the Main Building and the Mountain Building. The two buildings provide you with even more options to fit your vacation budget. Each has its own unique charm, and we promise that either will meet or exceed your expectations for a classy, mountain getaway. 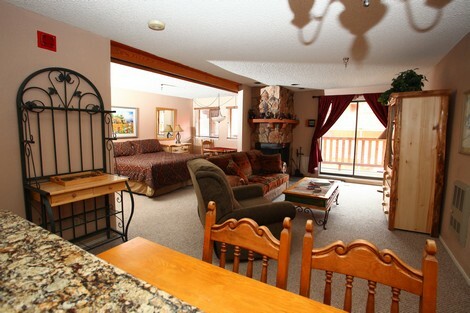 The Main Building of Lifts West is a blend of rugged, mountain luxury with the comfort of a more traditional hotel. The Mountain Building is located directly next to the Main Building of Lifts West. The rooms are cozy and traditional, but still have all the amenities that make a mountain vacation convenient and relaxing.